Hmmm.. lately, I've been inspired to cook, dunno why hehe. I must be just tired of the old sinigang or adobo dish that we always had so I craved for something different. I treated my family with a sumptuous meal last Sunday and I cooked crabs aside from this buffalo wings. I cooked this last Sunday and this is an easy dish to make. Try this at your homes. 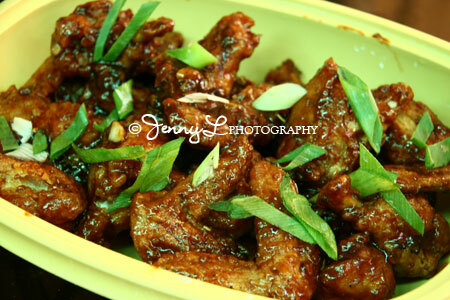 I also posted the Buffalo Wings Recipe at my recipe blog. Join us at Food Friday! when will you cook for us te jen? para makatikim naman ako nyan hehe! Wow that looks yummy! I love buffalo wings! Yummm...thanks for sharing the recipe ha! Your buffalo wings looks yummy Jen! those buffalo wings look really good ... nakakagutom talaga!! !